With Groovin the Moo less than a month away, OutInCanberra Editor Josephine Huynh caught up with Londoner electronic duo, Snakehips, to chat about all things music ahead of their anticipated Canberra set. 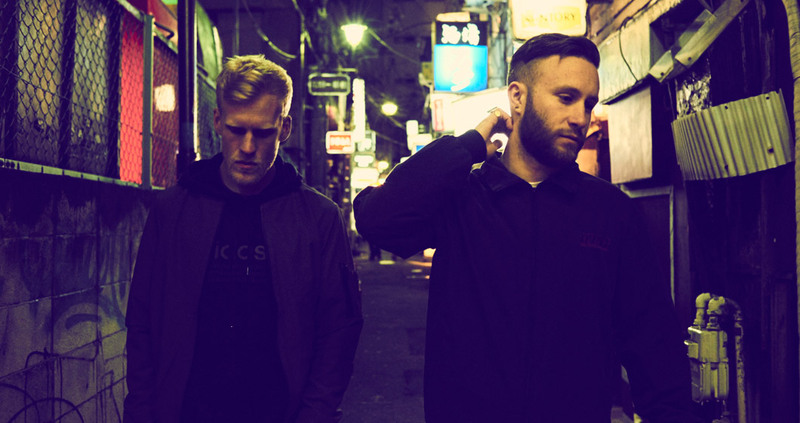 Snakehips rapidly made their name with chart-topping remixes for Banks, The Weeknd, Bondax and Wild Belle. Earlier in their career, the duo also released their four-track EP Forever (Pt II), featuring several talented vocalists including Kaleem Taylor, singer-songwriter Sasha Keable and Daniella T.A.O.L. 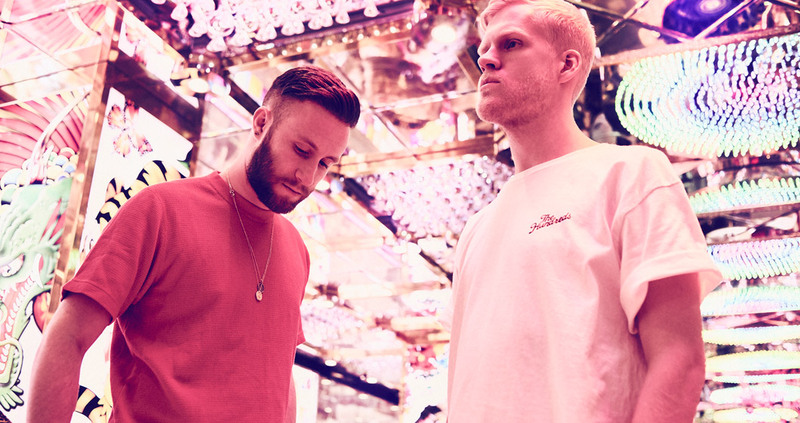 More recently the pair has released a series of tracks that remix their top 40 chart song Don’t Leave, which perfectly encapsulates Snakehips’ signature sound – a sensual, contemporary take on old school R&B and Hip-Hop. For quite some time, the identity of the artist known as Snakehips was a mystery, but with the momentum of their success, Oliver Lee and James Carter stepped into the light and revealed themselves. These boys lived in the same city their entire life, however, they never crossed paths until meeting in Hong Kong. They shared a flight to Los Angeles, discovered their mutual musical interest and from here, the boys booked into a studio and worked on a track together. “We’re suckers for anything with cool soul samples and old drum beats. But we’re also influenced by living in London. We borrow from the past to make music for the future,” James says. The pair first released a remix of Chicago band Wild Belle’s It’s Too Late; their next, a remix of Gold by electronic duo Bondax. In 2013, Snakehips heard Banks’ song Warm Water and loved it so much that they contacted her personally, asking to remix it. From the success of this remix, they were asked to rework The Weeknd’s ‘Wanderlust’ track, which led to The Weeknd tweeting praise of the song and the remix took off, receiving over 1.5 million plays in a month! Even though these boys have a natural knack for remixing other artists’ songs, their true talent lies in the music they produce on their own. The sultry sound coming from their track On & On featuring Australian favourite George Maple, sent the online world into a frenzy, reaching the top 10 on the iTunes electronic chart on both sides of the equator. All releases from Snakehips’ come from their self-made label ‘Hoffman West’, named after a fictional character Oliver created to get into clubs for free. “Put the name Hoffman West, plus five, on a guest list and no one asks questions when you get to the door,” he laughs. Having toured with Major Lazor all across Europe a few years back, these two London boys still managed to find time to collaborate with Tinashe and Chance the Rapper to bring us the recognisable hit All My Friends, which will sure be a banger at the duo’s set at Groovin the Moo this year. What are you looking forward to most about coming to perform in Canberra with Groovin’ the Moo? We haven’t been to Canberra before so we’re just really looking forward to checking it out. Australians crowds are always so dope so we’re mad excited to come to Canberra. Which one of your tracks are you most excited to play on stage? We love playing all of them, but I guess there’s a few we’ve released since we were last out in Australia like Don’t Leave and Burn Break Crash which is going be cool to see how people react to them out there. What can we expect from your Groovin’ the Moo set? This girl in Thailand made us T-shirts with our faces on them that she’d drawn herself haha! It was real sweet. In your down time while touring Aus, what attractions or places will you be hitting up? We’ve been a few times and still never been to one of those places where you can hold koalas and stuff. So definitely that! There’s been so many, making music with Chance, Tinashe and Anderson.Paak, also playing Coachella last year. We’re so blessed to be able to travel to such amazing places like Australia and play our music. It’s all a highlight. Which one of your songs are you most proud of and why? Super proud of them all but I think All My Friends is probably the one. Just because at that point in our career, to actually have got two of our favourite artists on the same track was so crazy, like a dream come true. It’s still really special to us.